Follow some of the most interesting feedbacks from the market: BLUG007 is going to be another massive release under the M.R.E.U.X. Imprint belt! Sasha Carassi (Drumcode) good vibes! Danielle Godiva (Go!Diva (Brood Audio / Brickwork)) Cerebral fix is a great track! Alexi Delano (H Productions / Visionquest / M_Nus) Full Support!! Spec X (Toy Club (Stuttgart)) OH YEAH ! CONFESSION IS CRAZY ! THX SPEC X !!! Bleaching Agent (Mira / Opal Tapes) Liking Pulsinger’s tracks, cheers! Ben Sims sender bender for me, thx!! Mark Antonio (Analytic Trail) Downloading for Markantonio…thanks for the music ! Marcel Fengler (Ostgut Ton / Mote Evolver) Will play for sure! Thank you! Maceo Plex / Maetrik (Ellum Audio / Mosaic) Downloaded for Maceo Plex, thanks for the music! James Ruskin (Blueprint) Confession for me ….thanks!!!! 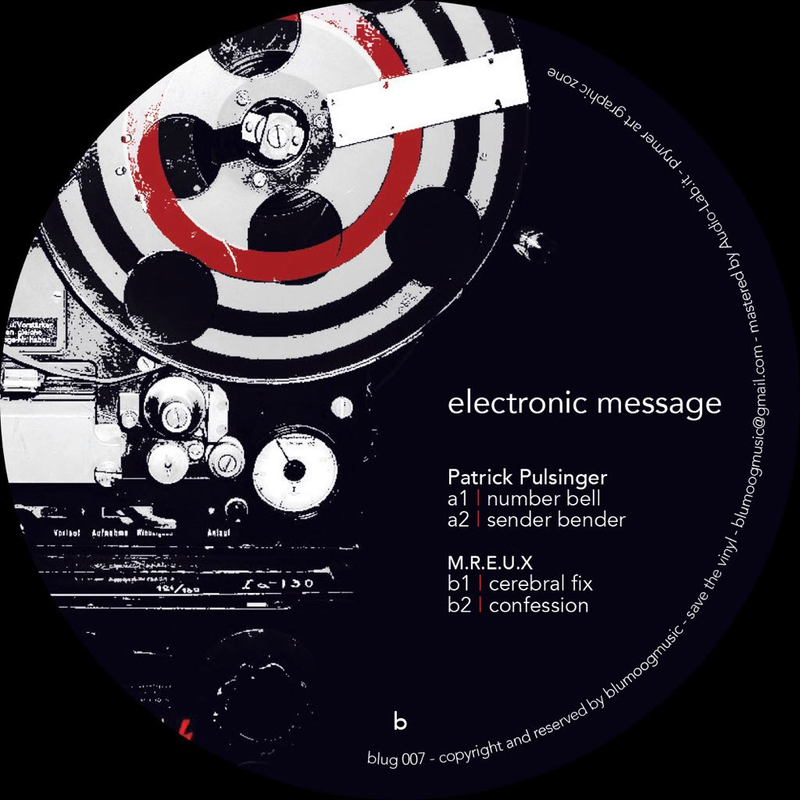 DJ Pete aka Substance (Chain Reaction) Always being a Patrick Pulsinger fan, everlasting respect. Luigi Madonna (Phobiq / Drumcode) Thanks for the music. P.Leone (Work Them Records, Rekids, EMISSIONS) sender bender for me thanks! Bodyscrub (Organism / Respekt / Phobiq) nice release, thanks! Raphael Dincsoy (Lehmann Club) nice ones! Colin Dale Quality EP…..quite simply love it! Greg Chin (Stryke (Plastic City / Ovum)) kind of old school industrial techno feel here. not really playing much like this these days…but, dig the EP. Chris Fortier (Thoughtless / Sullivan Room / Balance) really good. Sintek (Phobiq / Respekt) Awesome modular techno!! Thanks!! Ilario Alicante (Ilario Alicante, Cocoon, Cecille, Sci + Tec) Downloading for Ilario Alicante, thanks for the music! DJ MAG UK Love this sound,perhaps a littletoo heavy on allbut ‘SenderBender’.Interestingthroughout,havemade a note toconsider. UK Sonic Sessions(RTE 2FM)(Presenter)Sender Benderfor me, knew it’dbe decent withPulsinger!! Liking Cerebral Fix too!